For a few weeks now I've been on a quest to perfect my chocolate chip cookie recipe. I wanted a basic recipe that I could easily play with, and that had ingredients I typically had on hand. I know most people don't share what they do, but seeing as how this is basically my personal recipe box I am sharing anyway. I'm not particularly one for secrets. 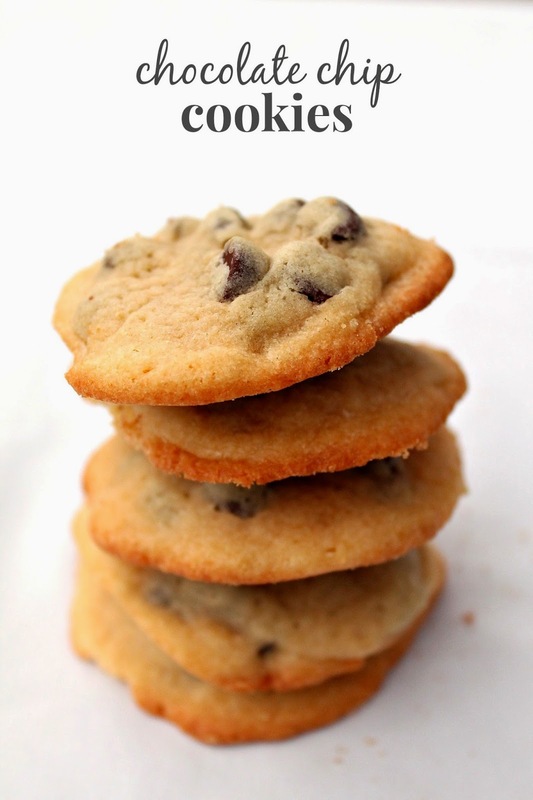 This recipe is the basic Toll House Cookie recipe with a few changes. I messed with the baking temperature as well as a few ingredient quantities. I probably even made 3 batches at different baking times to see what I liked best. I've also made them with a 3 year old to see if they'd still turn out right, I even died them green for St. Patrick's Day and doubled the batch for my students. The kids loved the green cookies by the way, and they turned out looking great. I had students coming up to me the entire recess telling me how their mom never makes them cookies and didn't believe me that I had made them from scratch. I'm in a pretty poverty stricken area, so it makes me that much happier to offer something fun for the kids that they might not get a lot at home. I even made a small batch of these just to eat raw. So trust me when I say I played with this until I got exactly what I wanted out of a chocolate chip cookie. Preheat oven to 375. Mix dry ingredients in a bowl and set aside. Cream butter, and sugar with a mixer for 2 minutes. Add in egg and vanilla and mix until combined and smooth. Gradually add flour to mixer. Stir in chocolate chips by hand. Scoop out onto a parchment paper lined baking sheet and bake for 8-9 minutes. 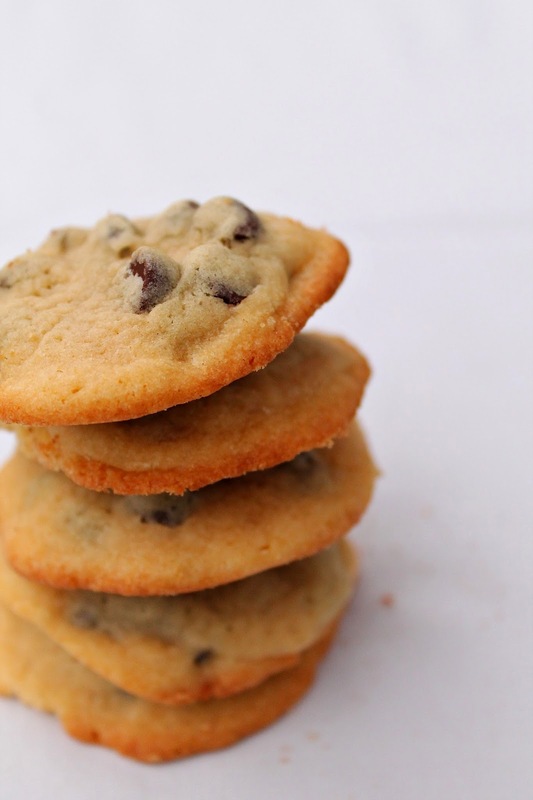 Remove parchment paper (with cookies still on it) from the baking sheet and let cool on the counter. Cookies should be done, but still chewy and soft in the middle. You will probably think they aren't done when you take them out, but after sitting on the counter a few minutes they finish cooking up perfectly! I have a huge salted toffee candy bar I plan on using in the cookies the next time I make them! 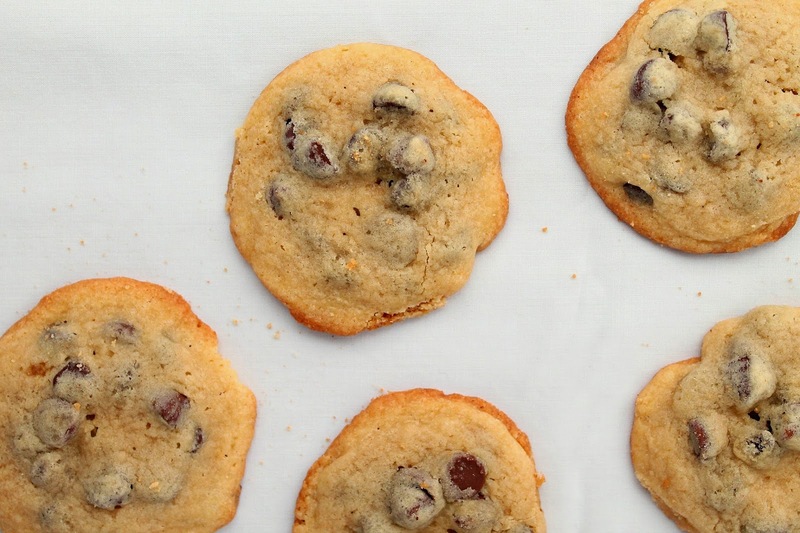 What's your favorite cookie add in?